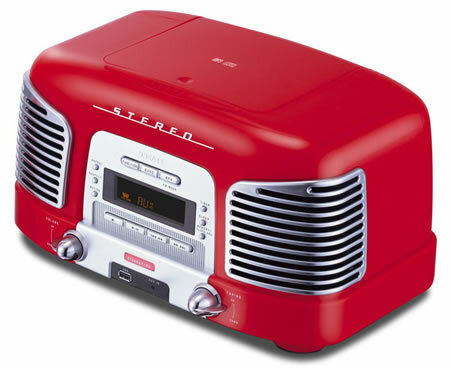 The SL-D900 CD/Radio/Clock from Teac Japan take you back to the 50s Nostalgia by its look. The radio is available in six eye catching colors. The CD player can read MP3 files also. It also includes a USB port via which you can play MP3 files stored in Flash drives, Portable hard drives etc. It has 2.1 channel speaker system with sub woofer built in and with an output of 15W it makes a perfect table top radio. The unit measures 340 x 259 x 190mm (width x depth x height) and weighs 5.4 kg. Japan for 24,990 Yen ($ 210).